You can make checks payable to South Jackson Civic Association. We are also looking for a gently used laptop to help run lights. Amazon Smile is a simple and automatic way for you to support your favorite charitable organization every time you shop, at no cost to you. 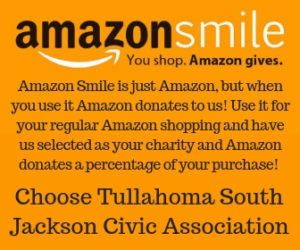 When you shop at smile.amazon.come you are shopping at Amazon.com with the added bonus that Amazon will donate a portion of the purchase price to South Jackson Civic Association. You can use your existing account on Amazon.com; your shopping char, Wish List, and other account settings are the same. To shop at AmazonSmile simply go to smile.amazon.com from the web browser on your computer or mobile device. 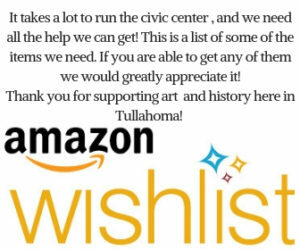 On your first visit to Amazon Smile, you need to select South Jackson Civic Center to receive donations from eligible purchases before you begin shopping. Every eligible purchase you make on Amazon Smile will result in a donation. Our number is 91838. You can go online and register to shop for us now. 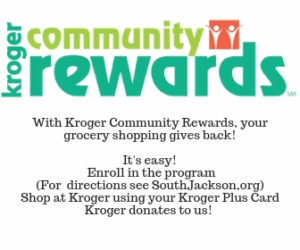 Also, if you do not have a Kroger Plus Card, you can register to get one online if you wish or the next time you are in the store, they will give you one. · Click on Sign In/Register on krogercommunityrewards.com. · If you are a new online customer click SIGN UP TODAY in the ‘New Customer?’ box. 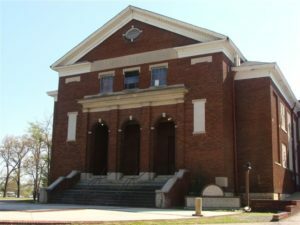 · Enter 91838 or South Jackson Civic Association, select organization from list and click on confirm.